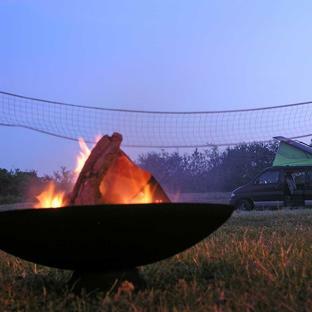 What better way to light your fire... and cook your sausages! 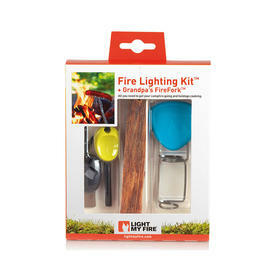 The perfect kit to have to hand when foraging, wild camping or just ready for those impromptu BBQ's. The kit includes a firesteel, grandpa's firefork and a tinder stick. 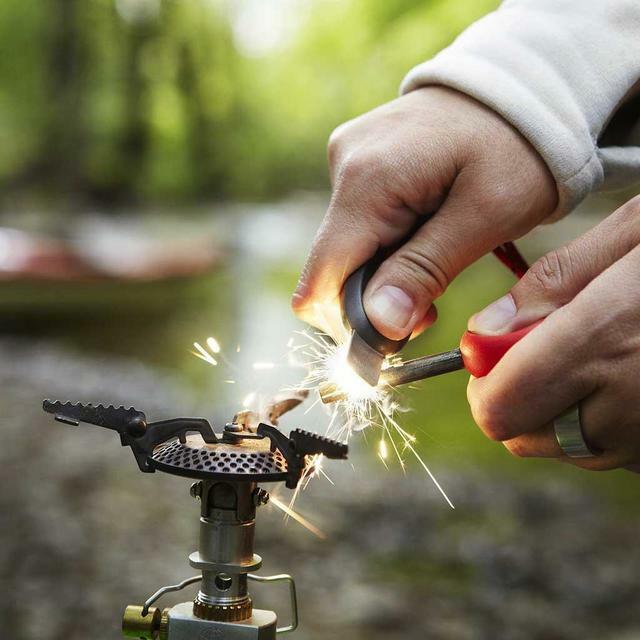 This firesteel makes lighting fires or gas BBQs easy in any weather. Originally developed for the Swedish Department of Defence, its dependability makes it ideal for gardeners or those that undertake camping/fishing trips as it works equally well when wet. 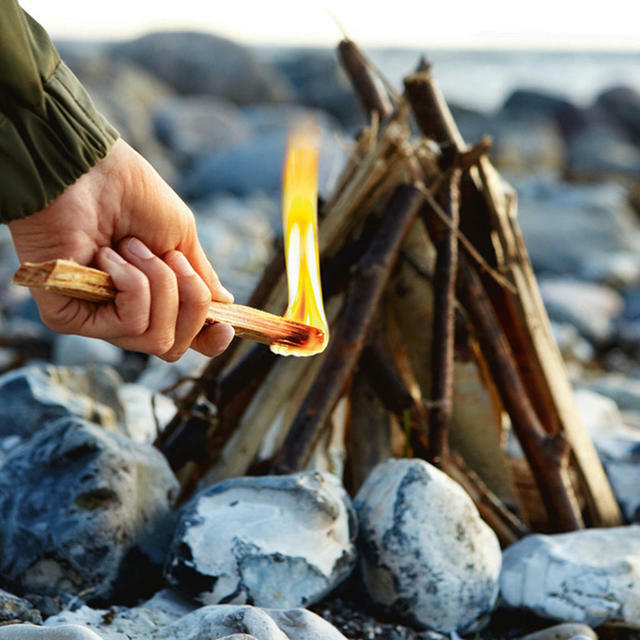 With a sturdy handle it is the perfect fire-starter and can be used to light campfires, gas BBQ's and start off the garden bonfire without the need to traipse indoors for the matches. 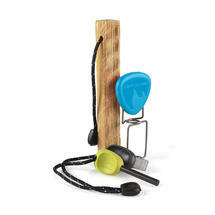 The tinder stick is made from cultivated fatwood pine from the highlands of Honduras, which has an 80% resin content. 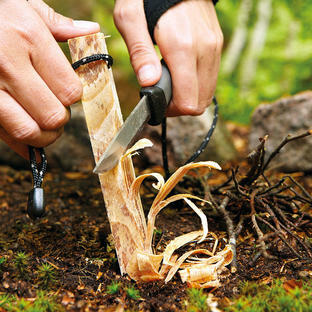 To use simply scrape some shavings off and use as kindling to light your fire with ease. For replacement tinder see Tinder on a rope. A number of years ago, a man camping with his grandson took a single length of wire and fashioned it into the most versatile holder we've ever seen. Our Grandpa's FireFork is inspired by his ingenius design. Attaches firmly to practically any stick and simply spike your sausage on. Made from a single piece of stainless steel and is lightweight with safety catch for easy storage. What better way to light your fire... and cook by the campfire. 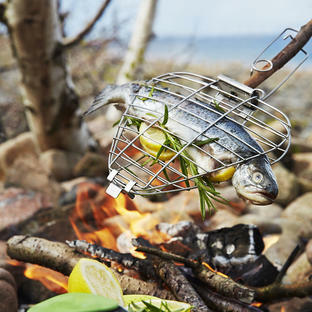 if you want to cook fish see Grandpa's fire grill.